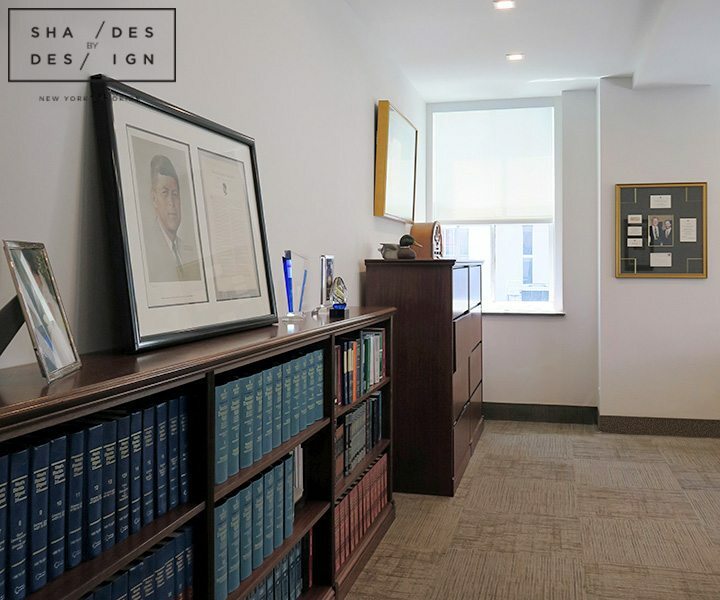 To rid this office of the common Miami issue of heat, privacy, and glare, we installed 3% transparent shades in this prestigious attorney’s office in Brickell. 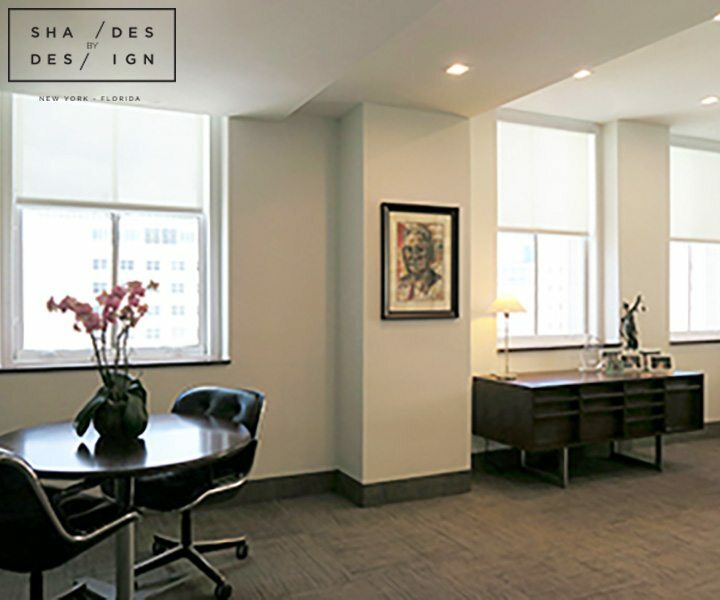 Since the offices are occupied at different times, the shades in the main desk areas were installed as manual treatments. 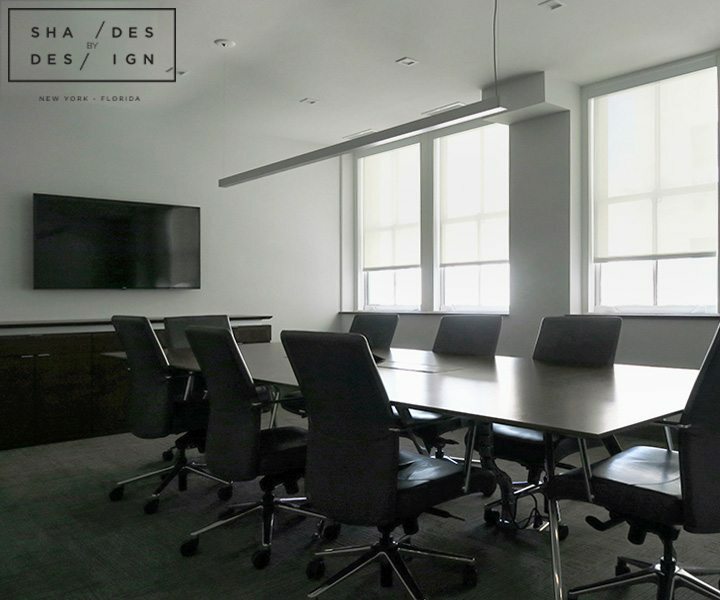 The conference room however was motorized with Somfy battery powered motors for better convenience and allowing the presenters to control the glare and lighting in the room with a simple push of a button. 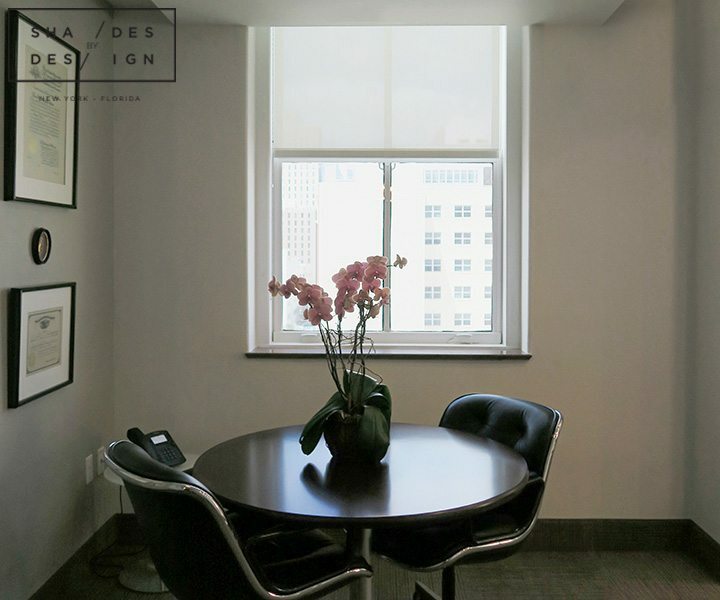 If you feel your office can use a little change, Shades by Design would love to create a more modern shading solution for your office space.